ordered with a curved or straight shoe. 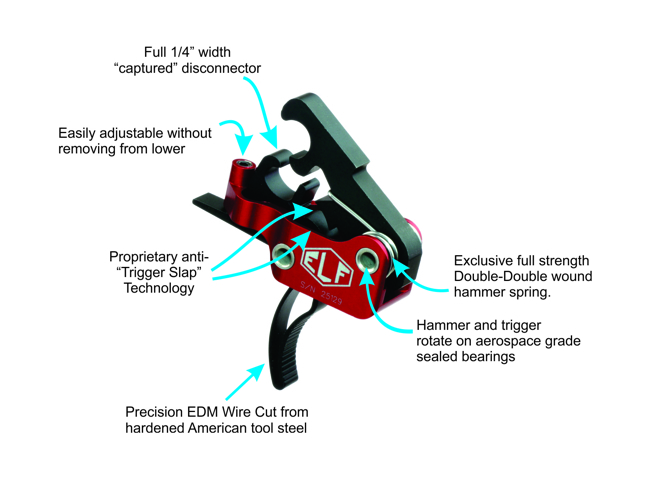 trigger for your service AR-15 platform, this is the trigger system for you. I was interested in upgrading the trigger in a new Sig MPX I recently purchased. 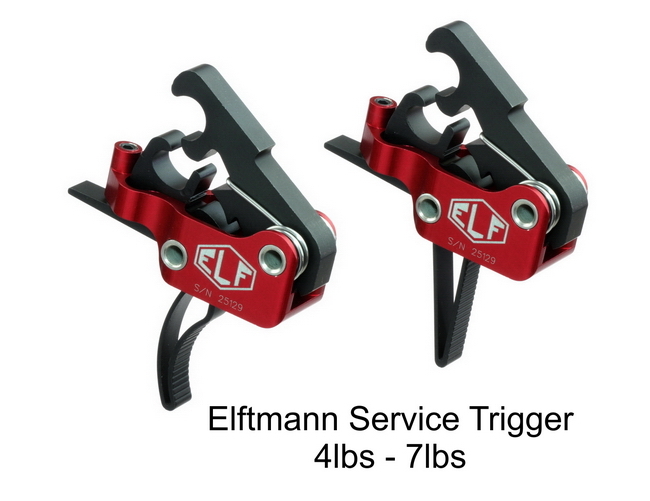 After reviewing the various triggers that Elftmann Tactical offers, I had questions for my specific application. So, I called their contact number and was told that I would receive a call back as soon as their SME (subject matter expert) was finished with a meeting. Sure enough, I received a call back within the hour by the owner, Art, and went over my specific application. He was extremely helpful in explaining the details of each trigger. 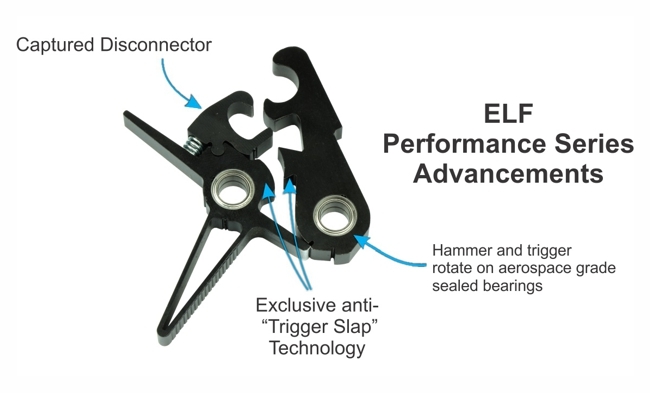 In the end, we decided that the ELF Service Trigger would be the best suit of my application (defensive firearm). The trigger comes with great instructions and was easy to install. I must say, I was extremely impressed! This is the smoothest AR type trigger I have in any of my rifles. Very smooth, crisp, with a nice short reset! I will definitely be upgrading all my rifles with ELF triggers. Best quality, smoothest trigger in service weight pull I've ever felt. Just buy it you won't be sorry... Wish they still made the AK47 trigger I'd have one of them too!!! !